Earlier today we wrote about Star Wars vet Lawrence Kadsan (The Empire Strikes Back, Return of the Jedi) writing the script for the Boba Fett-based standalone film that’s coming after Episode VII drops in 2015. Godzilla director Gareth Edwards will direct the first spinoff, while Chronicle’s Josh Trank will play the same role for the second. 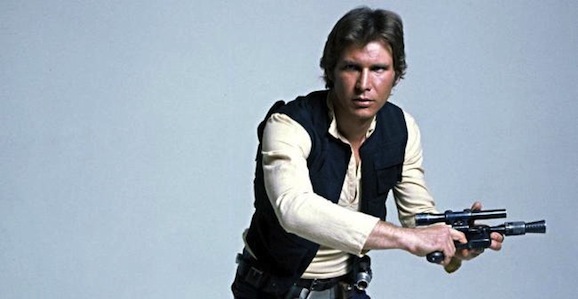 That film will supposedly revolve around the early days of everyone’s favorite scruffy Nerf Herder, Han Solo. While that project is still way off in the distance, supposedly it won’t come down until 2018, it may draw heavily from a discarded Lucasfilm project called Star Wars Underworld. Underworld is one of those mythical pieces of Star Wars lore that we’ve heard rumblings about for years but never actually seen. It was originally supposed to be a live action television show. Eventually the show was abandoned because, economically speaking, it would have been insanely unfeasible to film a weekly, serialized show of this magnitude. But according to Slashfilm, who did some digging into the matter, this could figure prominently into the Han Solo movie. 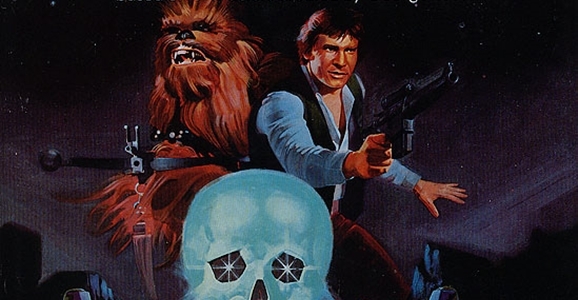 Even before Disney and Lucasfilm officially announced the cast of the upcoming Star Wars: Episode VII, most of us expected that the big three from the original trilogy—Luke Skywalker (Mark Hamill), Princess Leia (Carrie Fisher), and Han Solo (Harrison Ford)—would be back for more adventures in a galaxy far, far away. We heard rumblings and rumors to that effect, and just days before the studios confirmed the return, all three were reported to be in London, where the bulk of the filming is scheduled to go down. None of us were terribly shocked with that part of the casting announcement, but what we were curious about was how big a role that they will play, and now we may have at least a partial answer. Entertainment Weekly reports that while all three will play “significant” parts in the continuing action, Han Solo will have a big enough role that he is being considered a co-lead. When J.J. Abrams and Lawrence Kasdan took over the writing duties from Michael Arndt—this is one of the reasons why production was delayed—reports were that one of the things they changed was to beef up the role of the original stars, which has also now been confirmed. 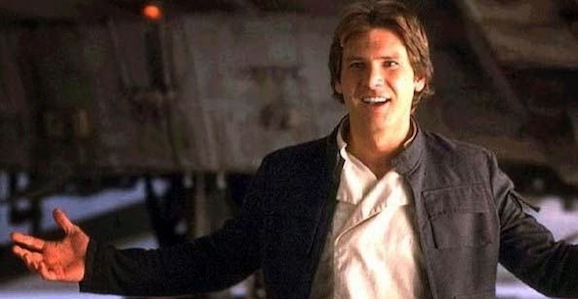 With Han’s natural leadership skills and charisma, it wouldn’t be surprising to see him in the thick of whatever drama is going on 30 years after Return of the Jedi. Earlier today we learned that Mark Hamill, Carrie Fisher, and Harrison Ford are all in London. That news started some wheels turning. You may remember, they were in this little movie called Star Wars a few years back. Since director J.J. Abrams is rumored to be filming his Star Wars: Episode VII at London’s Pinewood Studios, and all three actors are rumored to be involved, well, you get where this train of thought went. 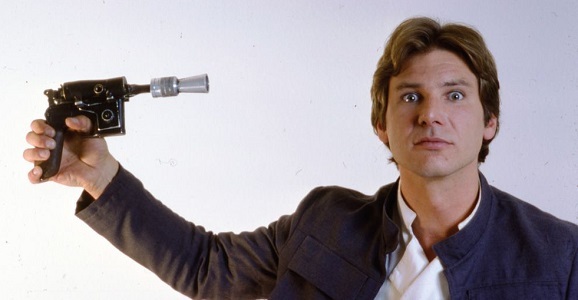 This, of course, kicked the rumor mill into high gear, and now we’re hearing reports that the first big table read for Episode VII is going down tomorrow, as well as rumblings in regard to some of the new additions to the cast and the size of the role Han Solo could play. Maybe, just maybe, we’ll hear something about the cast soon. Many suspect that Disney and Lucasfilm are waiting until this Sunday, May 4th—get it, May the Fourth be with you—to make an official announcement. A new report from Deadline says the cast and crew are slated to get together for the first time tomorrow for their inaugural read through of the script. Given that it will be hard for them all to gather in such a manner and not have some information leak out of Abrams’ “Mystery Box,” some speculate that we might finally have some concrete word on the cast. If this is in fact the case, we may hear something sooner than Sunday. You can bet that every scoop-hungry paparazzo in London is primed to get the first photos of the as-yet-unnamed cast.